InsuranceFundi | Discovery Insure - Rewarding you for your good driving! Imagine if your insurer allowed you to write your car and home insurance policy? What type of changes would you make? I can think of quite a few off the top of my head. Take, for instance, crashing the almost-new car you bought three months ago. When we say new, we mean the car still has that ‘new car’ smell inside. It’s your pride and joy, you have it washed every single weekend come rain or shine. But just last week out of nowhere another driver drives into the back of your car. Everyone – from friends at work to your grandfather – tells you the car will never be the same again. You don’t want the car back and you’re hoping and praying that they’ll write it off. A week later the assessor comes back to you with what he says is supposedly good news: they’re going to fix your car. “Good news for who?” you mutter under your breath. What if it was possible to get a brand new car if the damage was more than a few scratches here and there? Here’s a more common scenario. Your car gets stolen. You’ve had it for a year and the good news is your insurance company has agreed to pay the claim. You’re insured for retail value, but what exactly does that mean? It’s a murky science, but basically, retail value is the price a dealer would sell your one-year old car for if it was standing on their second-hand showroom floor today. The problem with that is that a brand‑new model – the same model as the one you had – sells for way more than your one-year old model would. This means you’ll have to finance the difference through no fault of your own. What if you could rewrite your insurance policy so that you could step into a showroom and buy a brand-new one off the floor? The reality is that none of this will ever happen. They’d have to charge you an unaffordable premium every month to cover all their claims which means you’d insure cheaper elsewhere. Fraudulent claims. Can you imagine how many people would get ‘tired’ of their vehicle, and arrange a smallish accident to upgrade their wheels? But there is an insurance company who is willing to accommodate you to a degree. 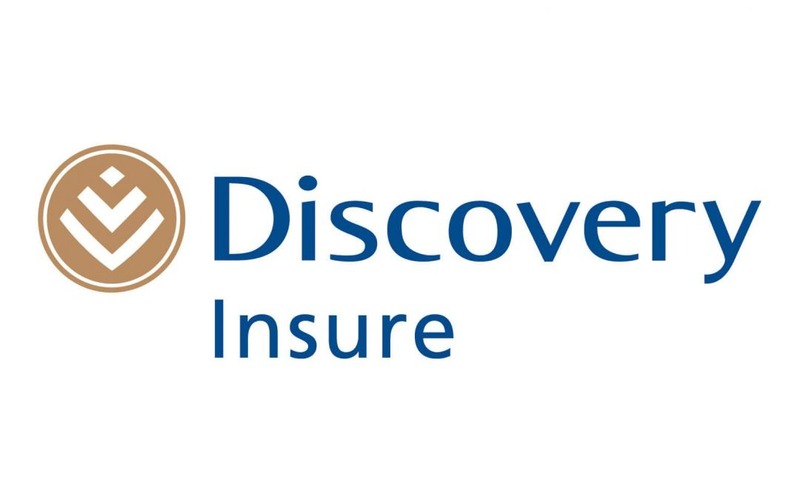 Why then is Discovery Insure different? There are many unique features, but let’s focus on just five. Each driver on your insurance policy schedule joins and pays a monthly fee: R58 for each primary driver on Essential and Dynamic Plans, and R75 for each primary driver on Classic and Executive Plans. You then have the option of either installing a standalone DQ-Track or a smartphone-enabled DQ-Track that uses your compatible smartphone. Discovery Insure then monitors your driving behaviour for harsh braking, acceleration, harsh cornering and phone use. The better you drive, the more points you earn and the greater your rewards. What’s great about this is that your driving behaviour improves as you become more aware. (A dashboard on Discovery’s website and the Discovery Insure app lets you monitor your driving stats). You can get up to 50% of your fuel spend back every month. What’s more is that if you add it to your Excess Funder Account, the amount gets doubled… so you can avoid paying any excess on motor claims once the fund is large enough. Drivers with the highest Vitality Drive status can get a 0% annual increase on their comprehensive vehicle cover when it comes time to renew their insurance every year. You can also choose to add on the following useful features, depending on your needs. Keep in mind that each feature you choose has an additional premium. Remember our wish about having our car replaced if it’s in an accident? Well, Discovery Insure doesn’t go that far, but they offer you the option of having your car written off if the repair cost is either 40% or 50% of the car’s insured value. This feature is especially important with new cars. With an older car you might not want them to write it off because you’ve then got to finance a new one. But with a six-month-old car, where the damage is just less than write-off value, then having this option would make it in your favour to get a replacement. If your car is written off, including stolen or hijacked, they will pay the car replacement within 12 months of your first registration date. If your car is stolen or written off, they will boost the retail value of your car by 15% if it older than 12 months. Let’s imagine your car is worth R150 000. A 15% boost in its value would mean R172 500 in your pocket. This is great especially if you own a certain make of car. A spare part might need importing and 60-day car hire might come in handy when your ride’s not ready to drive yet. If you prefer Uber, Discovery Insure will give you the option of a R1 500 voucher instead. And if you’re not happy with the hire car, Discovery Insure lets you upgrade. Now this one is for those who opt for the Discovery Insure Executive Plan, but it’s worth mentioning. Let’s say you own three or more cars. Of course you only drive one at a time. Why pay an expensive premium for those three or more cars when you mostly drive only one of them? Register for this benefit and you can enjoy reduced car premiums on the remaining cars. Retail value cover for cellphones and tablets lets you choose the retail value to insure your possessions at. My Jeweller is great for those who have preferred jewellery. You get to have your items repaired or replaced at your original or preferred jeweller. The main thing is that Discovery Insure lets you tailor-make an insurance solution to suit your needs and the unique risks you face. Maybe you’ve been sold on the idea of money back every four or five years if you don’t claim during that time. Discovery Insure takes it one step further by offering you fuel rewards every month if you drive well. Good Day Vusumzi, thanks for your enquiry. We tried to email but the mail bounced back with that address. Are you sure it is correct? Please can you mail me directly – mike@insurancefundi.co.za & I will reply. Many thanks!